Green is the New Orange this Halloween! 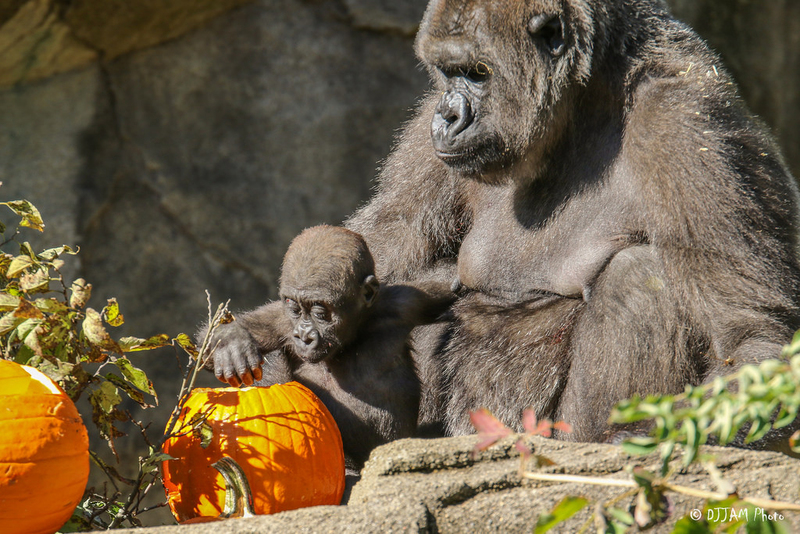 Cincinnati Zoo helps consumers choose eeek-o-friendly sweets. 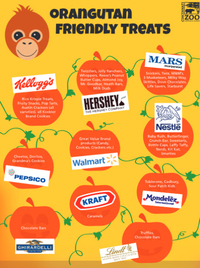 Buying certain kinds of candy for the army of sweet-seeking ghouls and boys that might show up at your house this Halloween could save an orangutan's life! The Sumatran orangutan stands on the edge of extinction in the wild because palm oil plantations have destroyed their rainforest habitat. The Cincinnati Zoo & Botanical Garden, also known as the greenest Zoo in America, has created a handy shopping guide to help consumers choose products made with Certified Sustainable Palm Oil (CSPO). Palm oil, made from the fruit of the African oil palm tree, is the most widely-produced edible oil in the world and is used in soaps, cosmetics, snacks and candy. The crop is important to the economy and people in Indonesia and Malaysia, the primary location where it's grown and harvested, but it can be produced in a responsible way without cutting down the rainforest -this is called sustainable palm oil. Selecting products made with CSPO helps protect wild orangutans and gorillas in parts of Africa where the oil is harvested. Collect candy in a reusable bag. Using the same bag again and again reduces waste and keeps trash out of the landfill. Get creative with costumes! Make something from items you have at home, or pick up materials at a thrift store. For example, a broken, black umbrella can easily be made into a bat costume. Or, swap costumes with others to give those store-bought costumes a second life. Make or reuse decorations. Old stockings make great spider webs! Try passing out non-candy items such as stickers, pencils, crayons, temporary tattoos or coins. Light the way using LED flashlights or petroleum-free candles. Purchase pumpkins from local farms or grow your own! Compost the castaways when the holiday is over. Jack-o-lanterns. Use the goodies inside your pumpkin. Toast the seeds and make pumpkin pie or muffins with the fruit. Use make-up made from food. Most Halloween makeup found in stores contains toxic heavy metals including cadmium, arsenic, mercury and lead. There are many ways to have a green Halloween this season! Doing so will help save natural resources, reduce waste and promote awareness for the conservation of species. Cincinnati Zoo & Botanical Garden, also known as the greenest zoo in America, is home to more than 500 animal and 3000 plant species and is internationally known for its success in the protection and propagation of endangered animals and plants. The Zoo's research facility, CREW, is a global leader in wildlife conservation and is dedicated to "Saving Species with Science". Zoo and CREW staff lead and support conservation projects all over the world. Learn more about ways you can support the Zoo's mission.